Well, everyone, today's the day you can start going out and getting your Civil War HeroClix action on. ... Uh, that's Marvel's Civil War, that is. There's no Sherman or Lee or Grant in this set (though, now that I think about it, that'd be pretty cool). WizKids has always been really good about having special prizes for their organized play kits for the new sets. This one's no different. 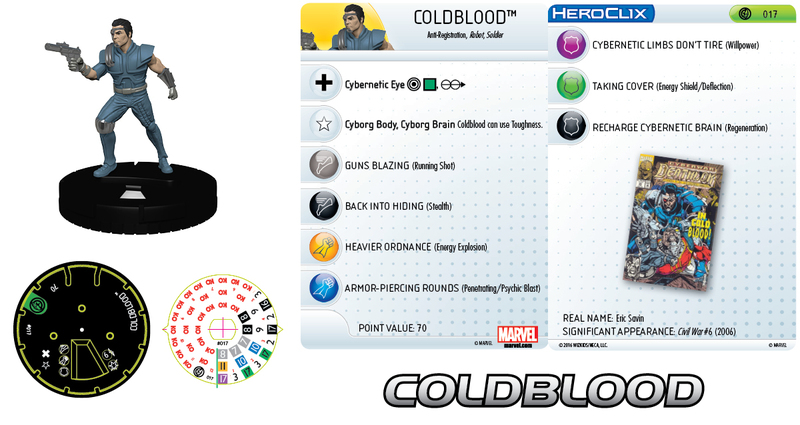 This time around we get a look at Coldblood and Bullseye from that OP kit. As you can expect from these two, they're all about ranged combat. 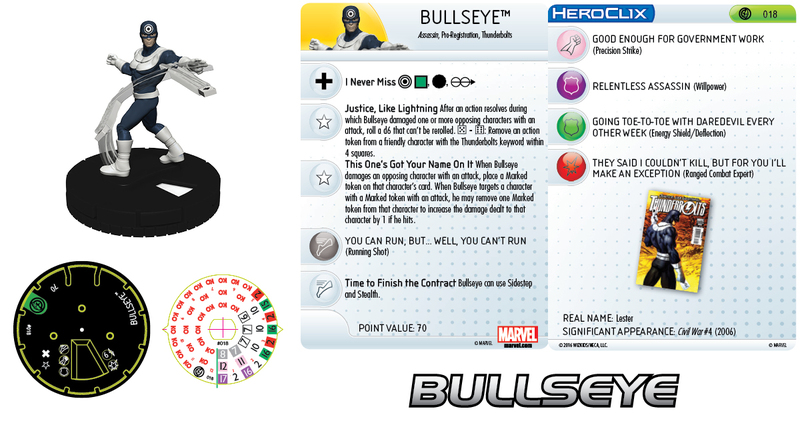 Coldblood has his cybernetic eye, while Bullseye never misses (ok, unless you roll terribly, that is). So whether you're pro-registration or anti-registration, you can get yourself a figure to reach out and touch the enemy.